Why this movie will do just as good as the first movie. Insidious: Chapter 2 is an upcoming American supernatural horror film directed by James Wan. It is a sequel to 2011's Insidious. 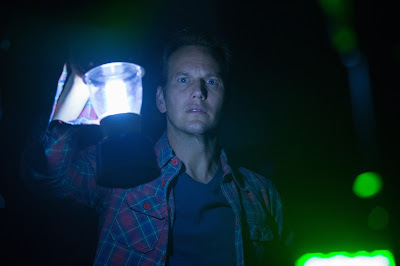 The film stars Patrick Wilson and Rose Byrne reprising their roles as Josh and Renai Lambert, a husband and wife who seek to uncover the secret that has left them dangerously connected to the spirit world. There is something about this man. Any horror movie Patrick is in, is an instant success, this is not the same for his other movies. Not including Insidious 1, he was in The Conjuring, which did so well it has a sequel. Anytime a movie was just recently filmed, it does great, it is more relateable to the time that people are watching it. Filming began on January 15, 2013 and ended this past June. That means they will have references that will make sense to the audience. As like the 1st film, it will be a complete movie, but will also have a ending set up so there could be a third movie.